So away with her easy-to-make, creative dishes – and in with this unnecessarily complicated, silly guest post! 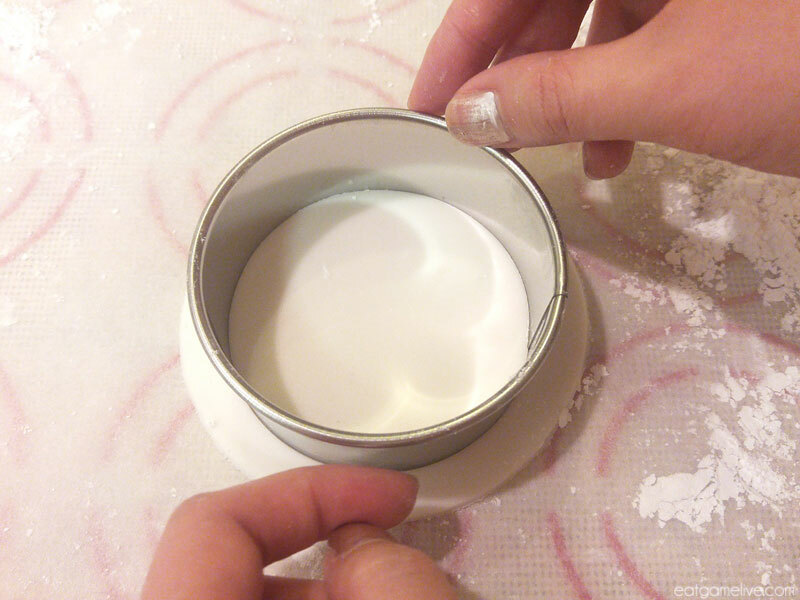 This recipe creates two smooth, beautiful mousses that you can pipe into martini glasses, or put into a mold for a cake, or just eat it straight out of a bowl. No, I promise I didn’t do that… much. 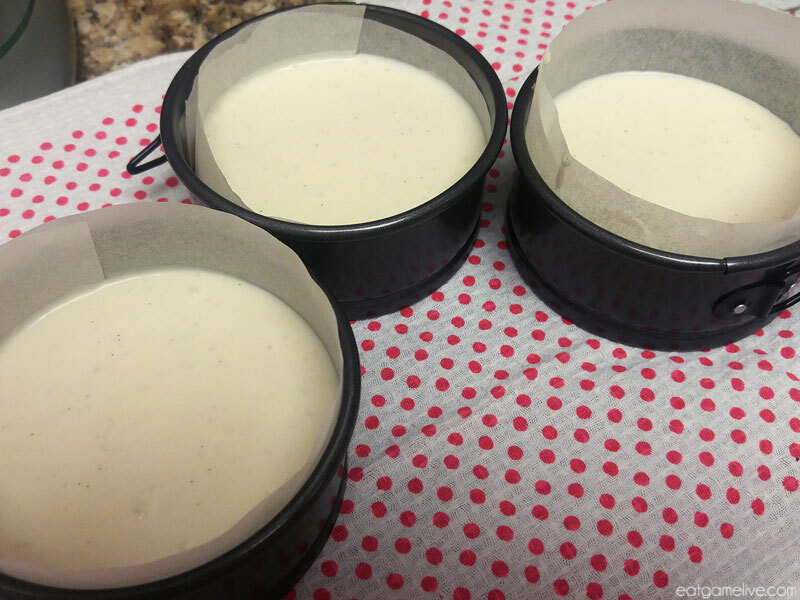 Cake layer – use any cake you like. 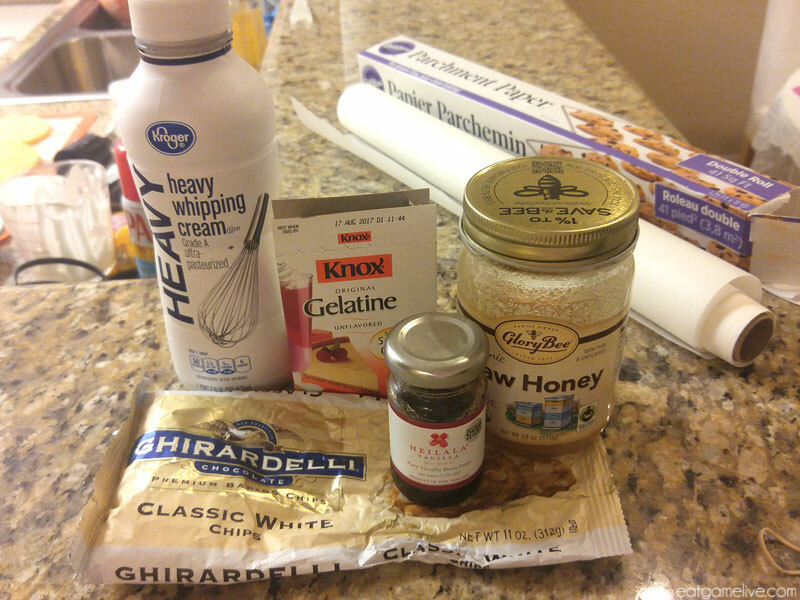 Store bought is okay, cakemix is okay, or brownies would be great too! The decoration on top is purely optional, so the steps for the logo is listed separately. For the purpose of this recipe we are omitting the details for the cake part. Just follow your favorite box mix recipe, brownie recipe, or use store-bought cake, anything works! 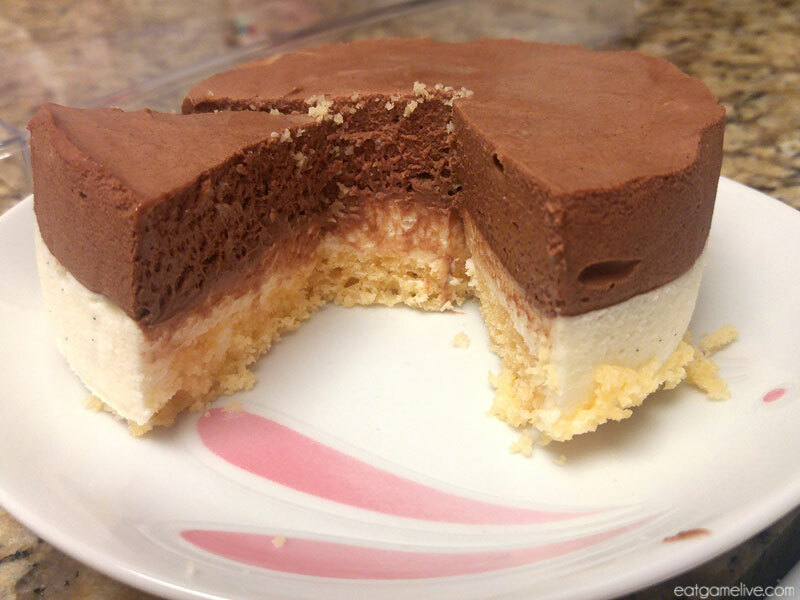 The magic is in the mousse layers. You can use a larger mold or pan and have a bigger cake. You can also forgo the cake and just put the mousse in any vessel of your choice, and enjoy it as a dessert after it sets! 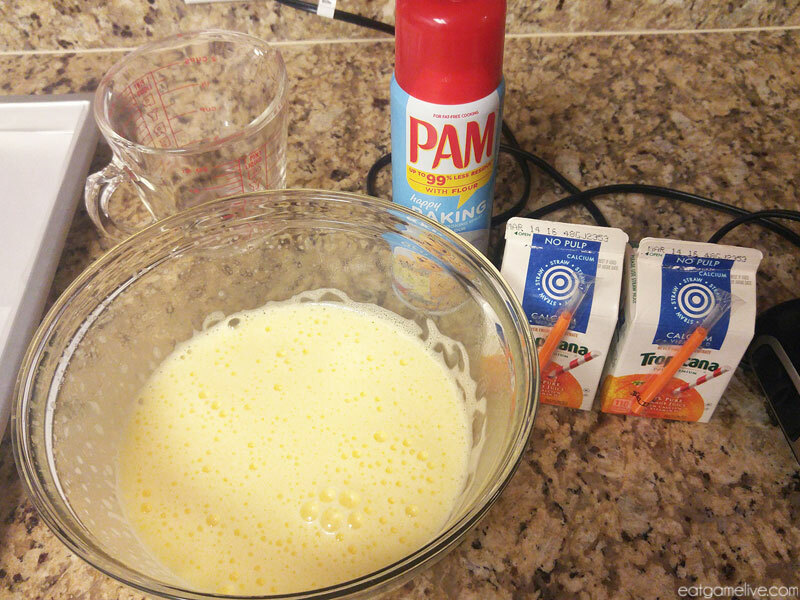 Whisk together the gelatin + water and set it aside for 5 minutes. 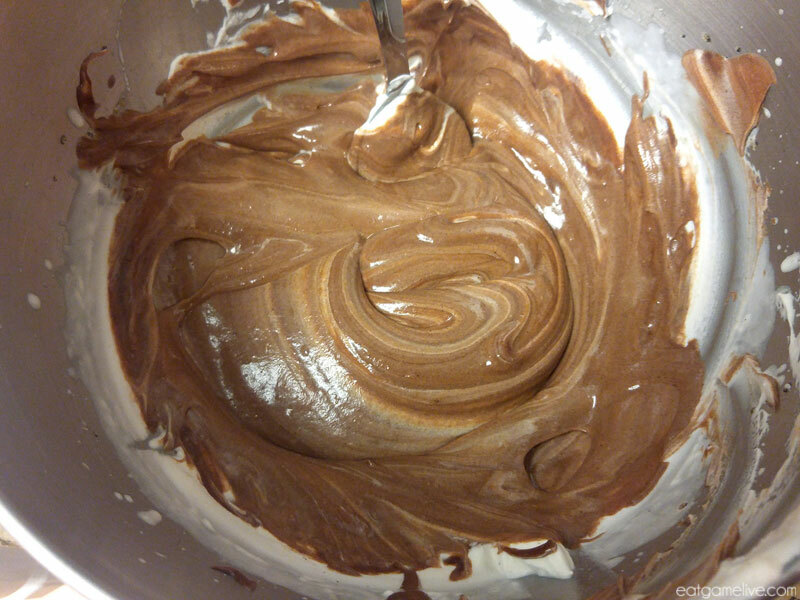 Meanwhile, whip the remaining ½ cup of heavy cream with either a stand mixer or hand mixer to form stiff peaks. And for the lazy, sub this for 1 cup of CoolWhip. Folding in whipped cream into chocolate! 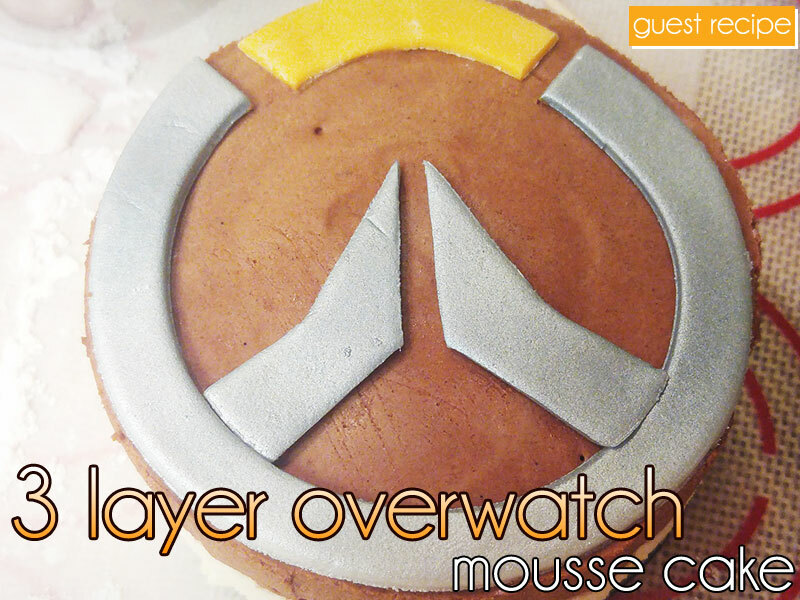 After the mousse is completely set, pop the cakes out of the pan and decorate it to your heart’s desire! So airy, so light, cut side view! 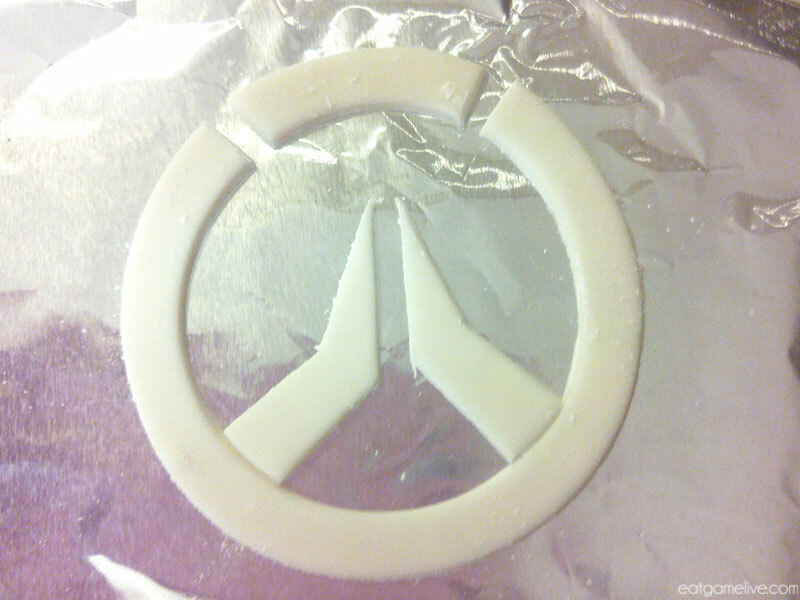 Cut out shapes using a knife. Use a print out as guide if you need! 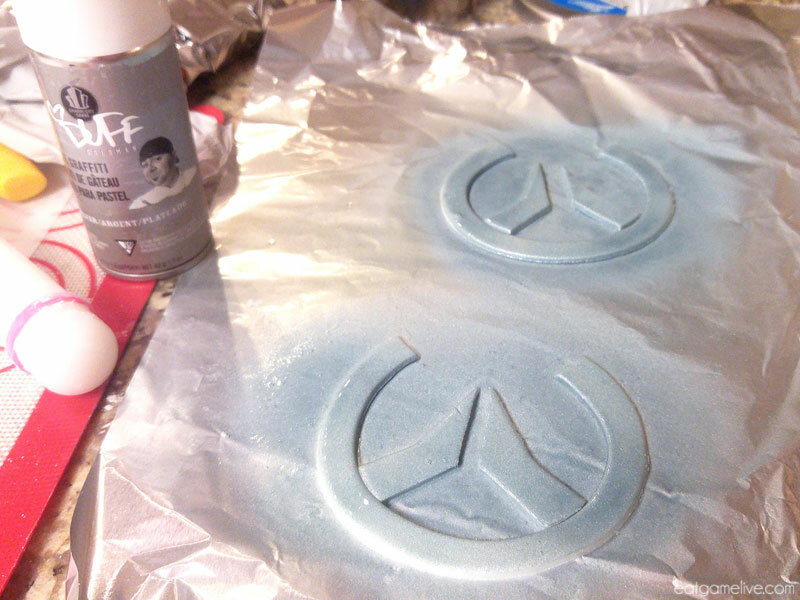 If you can find the spray – you can make it silver! 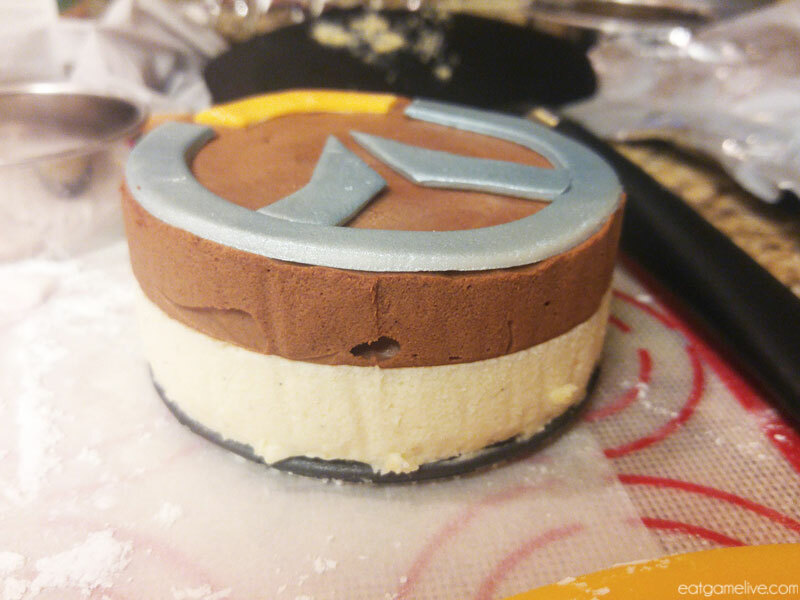 Let the fondant sit out for a bit till it dries, then top your amazing cake with it! Ta-daaaa! You know, the world could always use more heroes! This was a special guest recipe by Meru. She’s an amazing baker, a spectacular chef and a ferocious Brightwing! You can follow her delicious adventures here on Twitter. 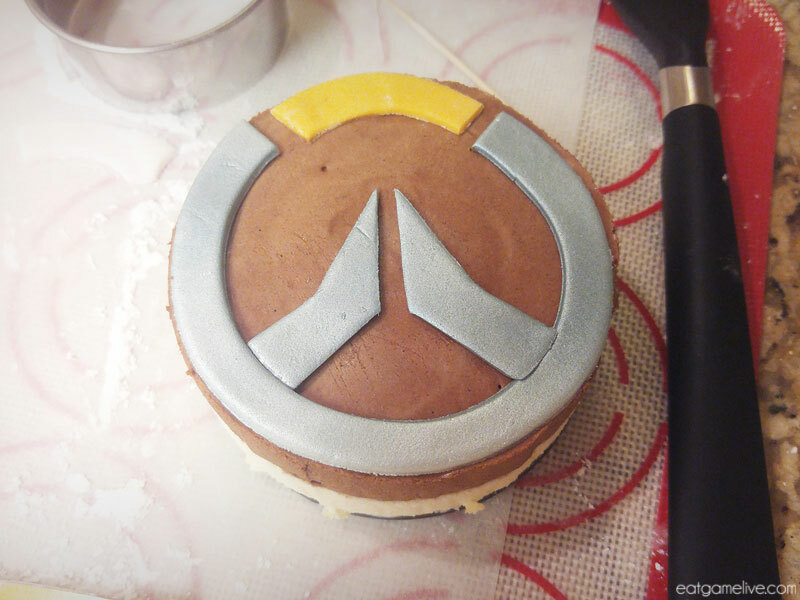 Feel free to browse the recipe index or use the handy search tool to find recipes inspired by the games you love! Here's a few recipes for you to check out! Make a $1 pledge to gain access to previews of up coming content! Copyright © 2012 - 2015 Eat Game Live, All rights reserved All other trademarks and copyrights are property of their respective owners.